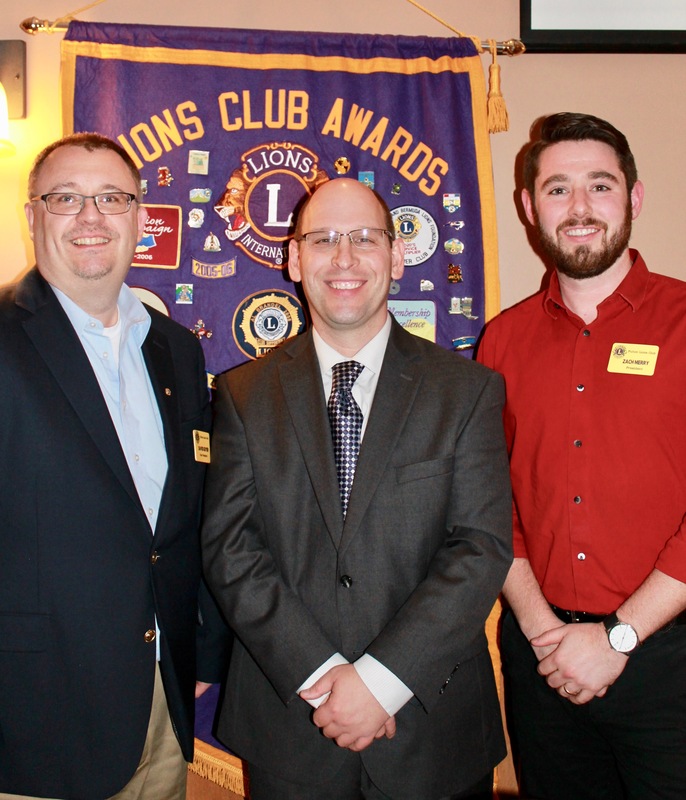 Oswego County District Attorney Gregory Oakes, center, was the guest speaker at the October meeting of the Fulton Lions Club. Oakes discussed the county’s heroin/opioid epidemic and how his office is addressing it. He was introduced by Past President David Guyer, left, and welcomed by President Zach Merry.